RainRain Web Design and Development is the company of freelance designer/developer Bob Murphy. Bob has been working in web design since 1999 and setup RainRain in 2007. Sites are typically built using the Wordpress platform. Virtually anything is possible within this excellent system. Joomla, Magento, Surreal and Static sites are also produced where appropriate. Design goals and values include: Customer satisfaction, Quality website experience for end user, Big Visual appeal, Ongoing support, Attention to detail, Quality communication with customer, Websites that work ! 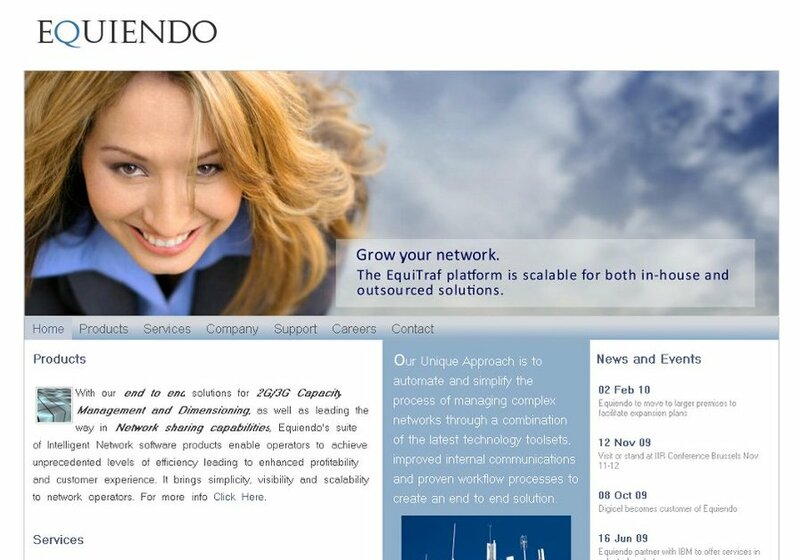 This is a screenshot of the website that was designed and built for Irish telecomunications firm, Equiendo.